Thanks to Susan Gleason, Sherri Benoun for caption help on this page. Darrel L. Exline and Lucy Stern. Bill Ellern, Greg Barrett, and Tadao's arm. Janet Gleason in the back, and Sherri Benoun. 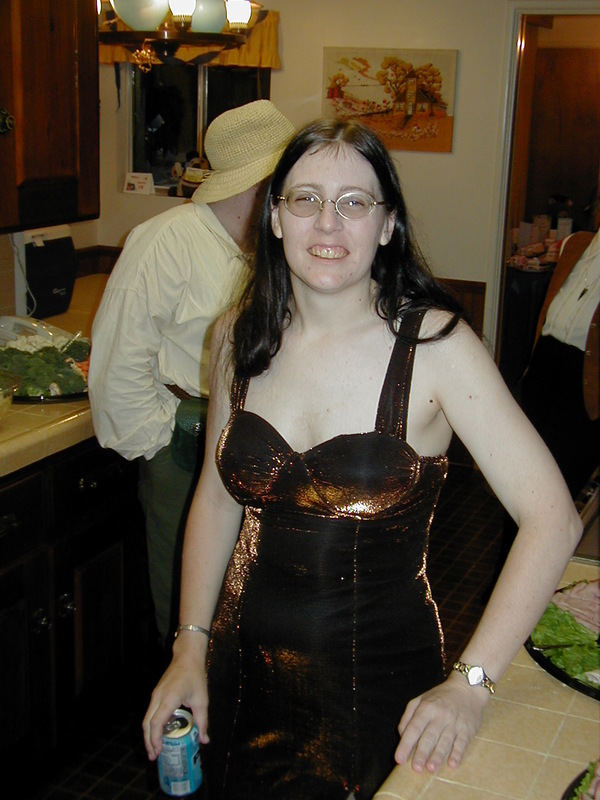 Dr. Susan Gleason, in her fancy party dress. 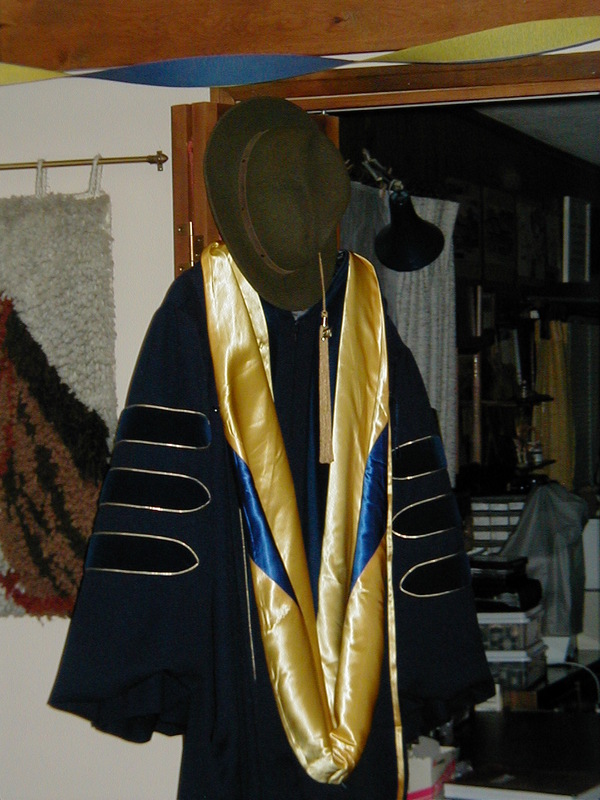 The new doctor's gown, complete with the hat she worn during the ceremony. Dr. Susan Gleason, talking to Joyce Sperling in green.